(QCOSTARICA) Every day traffic congestion in and around San Jose gets worse, robbing people of minutes and hours of their lives and burning expensive gasoline while sitting in their cars in traffic. Even worse on any major route where there is a bridge. In October 2005, almost ten years ago, the commuter train starting rolling again with the promise to decongest the streets and reduce fuel consumption. 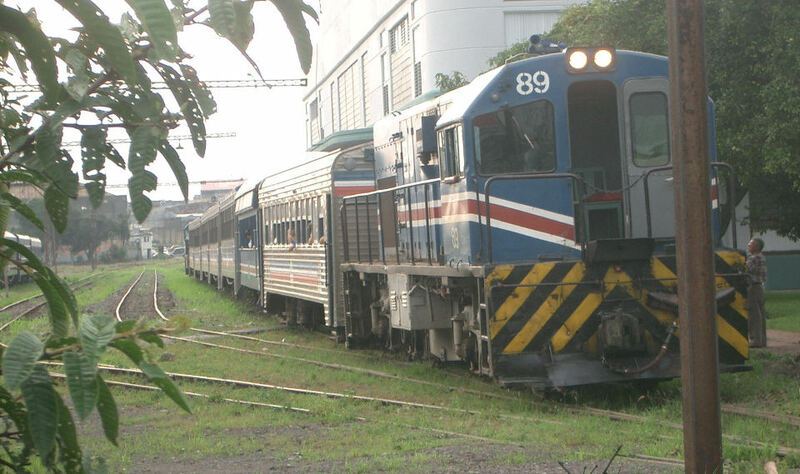 According to the railway, the Instituto Costarricense del Ferrocarril (NCOFER) and the Ministry of Transport (Ministerio de Obras Públicas y Transportes – MOPT) nearly one million people daily use public transport, but only 1% of them use the train. Leonardo Sanchez, a researcher for the Programa de Investigación en Desarrollo Urbano Sostenible (ProDUS), told Crhoy.com, the railway lines in our country are ‘atesanales’ (craft) because they lack the required speed and connections to be a true mass transit system. According to Sanchez, the current infrastructure does not enable the train to move at fast speeds, making it difficult to attract the volume of people travelling between the major city centres in the Greater Metropolitan Area of San Jose (GAM). When it first stated rolling back in 2005, the commuter train ran from San Pedro on the east to Pavas on the west, with a stop in downtown San Jose. 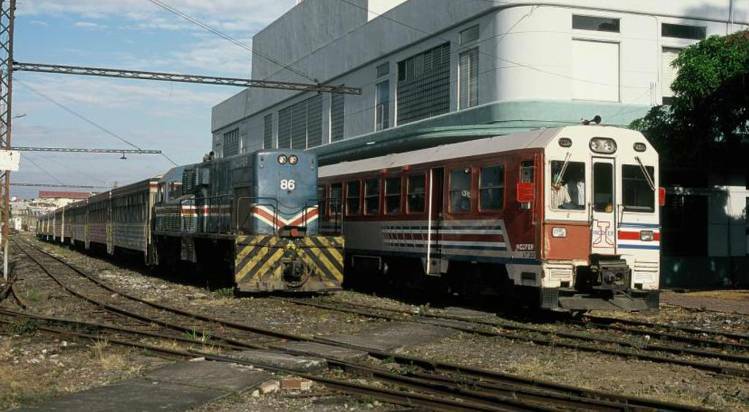 That line has now been expanded, running to San Antonio de Belen (Heredia) one the west and to Cartago, by way of a connection in San Pedro on the east. The commuter train also now provides service between San Jose and Heredia Centre (with an expansion to Alajuela coming later this year). However, commuters must walk, take a bus or taxi to connect between the two lines, given that lines don’t intersect with each other. Adding to the user inconvenience is that the commuter train only runs weekday mornings and afternoons and the lack of railway crossings at many points along route regularly complicates travel, by accidents between the train and vehicles. In 2008 Rosendo Pujol, today Minister of Housing, but then Director ProDUS, warned that “for the train to work and be a serious transit system there must be a redesign of the routes and a reorganization of the entire transport system”. Pujol’s warning appeared to be a premonition, because the train was revived on old tracks, with no redesign or – much less – reorganization, resulting in a service that contributes little to the mobilization needs facing the country. The antiquated locomotives continue in use today. This photo was taken on October 7, 2005. Complicating matters, the deputy minister of the MOPT, Sebastián Urbina, estimates that over the next seven years the vehicular fleet in the country will double, currently registering a 10% annual increase in the number of vehicles circulating a road system that has not been updated or improved. For Urbina, the only real solution to the growing congestion problems is to encourage the use of public transit. To achieve this for the short and long-term, Urbina says the MOPT must implement a zoning plan for bus routes and the INCOFER implement a modernization plan to achieve greater efficiency in the train service. Let us look a typical commuter going from and from say Pavas or San Pedro to Heredia centre. 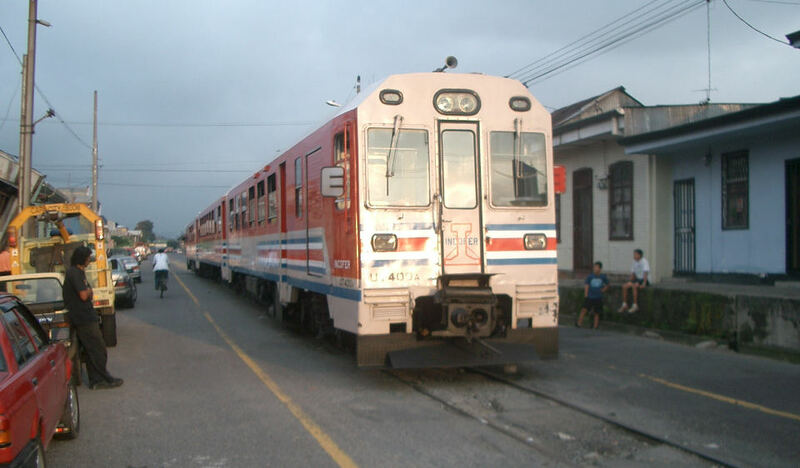 The user is required to take two trains: the Pavas – San Pedro line and the San Jose – Heredia line, each with their separate fare. The user then has to travel by foot, bus or taxi from the Atlantic train station, across from the National Park, to the nearest train stop, the closest being at least 8oo metres. [/su_pullquote]However, one problem that is not being openly discussed, given that the MOPT and INCOFER are two separate state institutions, they at times appear to work against each other toward solving a common problem: to decongest the roads. Maria Fernanda Arias, spokesperson for the INCOFER, says that currently some 8,000 people use the commuter train daily, a number that according to Arias is “satisfactory”, given that it is an increase in users over the last four years. One of the major problems faced by the INCOFER is the aging passenger cars and locomotives. The INCOFER budget only permit their repair and not replacement. Arias added that there is a plan in place for quicker repair times of locomotives. The INCOFER estimates that it would take about a decade to modernize the railway from the time legislators get around to approving the public transport modernization bill. But, can the country wait that long? In the opinion of the ProDUS-CUR, the inability of the current road system and the growing demand, and the losses suffered by the congestion is generating a lag in the global competitiveness index.